The 2019 Salomon MTN Alu S3 Ski Poles are an adjustable and durable backcountry pole for those who are on a budget. Made with a 16mm diameter aluminum upper shaft and a 14mm aluminum lower shaft. These are adjustable from 110cm to 135cm so whether you're hiking or shredding they'll serve the purpose. 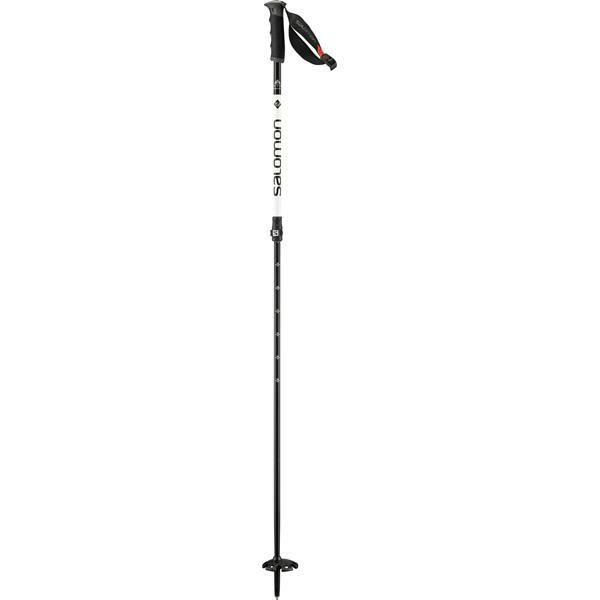 Complete with the same Easy Lock adjustment system as in Salomon's high-end carbon poles make this pole a great all around backcountry pick. If you're looking for the do-it-all pole in the backcountry but don't want to break the bank, look no further than the 2019 Salomon MTN Alu S3 Ski Poles.